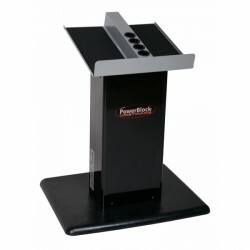 The Powerblock weight stands are the ideal racks for the Powerblock weights and Kettlebells. The sturdy and high-quality racks offer a comfortable height and space for weights or Kettlebells. Protect your back while exercising and store the weights always ready to hand.